"The Bob Bellear Program is a great legacy to a great man, and will lead to a new generation of Aboriginal lawyers". Legal Aid NSW is committed to increasing its Aboriginal and Torres Strait Islander workforce to ensure that the organisation is reflective of our client base. Legal Cadetship program for Aboriginal law students for full-time undergraduate law students to provide support in obtaining a law degree through financial assistance and a paid work placement of 12 weeks each year. Professional Legal Placements program for Aboriginal law graduates to complete their practical legal training to gain admission into legal practice. Graduate Career Development program for Aboriginal law graduates. This program involves a two year placement in two legal practice areas for law graduates who have completed Practical Legal Training and whom are eligible for admission into legal practice. For more information see . Identified positions and targeted recruitment for recruitment of an Aboriginal person or Torres Strait Islander, including Legal Officers, Legal Support Officers and other administrative positions (such as traineeships). An Aboriginal Staff Network which meets twice a year, providing staff with an opportunity to network with Aboriginal staff across NSW. Aboriginal Cultural Awareness Training for all staff. Legal Aid NSW Employment opportunities for Aboriginal and Torres Strait Islanders are advertised in the Koori Mail, Our Mob and iworkfornsw. Legal Aid's Aboriginal Services Branch is part of the Executive and works across all policy, program and practice areas. The purpose of the Branch is to ensure that Legal Aid NSW responds to the legal needs of Aboriginal people in a culturally appropriate and comprehensive manner. Increase Legal Aid’s Aboriginal workforce to 11% and provide meaningful career development opportunities. Work with practice areas and key partners to design and deliver Aboriginal Cultural Awareness Training for all staff. Judge Bob Bellear (pictured left) was a Noonucal/NI-Vanuatu man from Mullumbimby, situated on the north coast of New South Wales. Surrounded by poverty, he was forced to leave school at a young age to support his large family. After witnessing one too many instances of racism towards Aboriginal Australians, Bob went back and completed his Higher School Certificate before continuing on to university where he studied law. 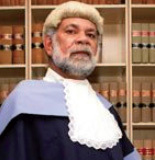 Bob eventually became a barrister and Public Defender before being appointed a Judge of the District Court of New South Wales, the first Indigenous person to be appointed to any court in Australia. Among Bob's many and varied achievements, including assisting to establish the first Aboriginal Legal Service, Aboriginal Medical Service and Aboriginal housing Company in Redfern, he was also a mentor to many young Aboriginal and Torres Strait Islander people, encouraging and supporting them in the pursuit of a career in law. Bob was a role model to many and an inspiration to all. His tireless commitment to ensuring the recognition, enforcement and preservation of the fundamental rights of Aboriginal Australians involved a degree of dedication only few can boast. His legacy is in part carried on through the Judge Bob Bellear 'Legal Career Pathways' Program, an initiative of Legal Aid NSW named in the late Aboriginal Judge's Honour. For more information regarding the Judge Bob Bellear Legal Career Pathways program or employment for Aboriginal and Torres Strait Islanders with Legal Aid NSW, please contact the Aboriginal Services Branch.